To mark the death anniversary of Sardar Vallabhbhai Patel and spread the message of good governance and national integration, BJP today organised a marathon ‘Run for Unity’ at various places across the country. In Himachal too, event ‘Run for Unity’ was organised at various places of the state. In Shimla, senior party leader JP Nadda flagged off the rally at the Ridge Maidan, in which hundreds of party workers and students participated. While addressing the participants at Chaura Maidan, Nadda hailed the contribution of Sardar Patel in Indian freedom struggle and uniting country to its present status. He said that Sardar Patel had devoted his life to unify the nation. He integrated the common people in the freedom struggle and made efforts to rid the nation of the colonial mindset. He undid the mindset of divisiveness and united the nation. The theme for the race was good governance and national integration. 565 places were chosen by BJP for the race as Patel had integrated this number of princely states into the Union of India at the time of Independence. BJP is also reaching out to people to collect iron pieces for the ambitious ‘Statue of Unity’ that Modi wants to build in memory of Sardar Patel. It will be the tallest structure in the world. 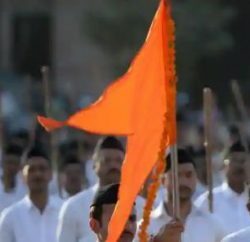 Modi has urged farmers and party workers across the country to contribute iron pieces for building the 182- meter statue at Sadhubet, near Sardar Sarovar Dam on the banks of river Narmada under the aegis of ‘The Sardar Vallabhbhai Patel Rashtriya Ekta Trust’. Shimla MLA Suresh Bhardwaj, BJP leader Narinder Bragta, state party spokesman Ganesh Dutt, Kapil Sood, BJYM leader Sanjeev Deshta and other district leaders participated in the marathon. However, Congress and CPM has criticized BJP’s ‘Run For Unity’ event and called it politically motivated. 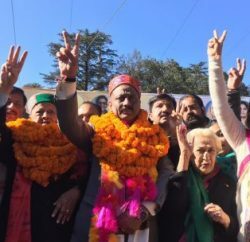 Chief Minister Virbhadra Singh, while addressing public rally at Tihri in Jwalamukhi assembly constituency, accused BJP for indulging in cheap politics in the name of first Home Minister late Sardar Vallabh Bhai Patel. 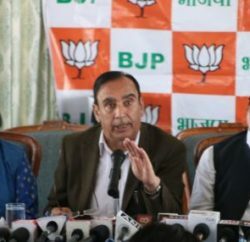 Singh said that the BJP earlier had played with the sentiments of the people on the construction of Ram Temple issue and now it was misleading them in the name of Sardar Patel, he accused.